UPDATE: Despite not having officially unveiled the car yet, Ferrari have issued press photos of the drivers’ new overalls, at the same time confirming Alonso’s helmet design for this season. I’m not sure I like the white. I’m glad they’ve changed, I had a feeling there would be a lot more white, but not this much. But I prefered the all Ferrari of the last 3 years. 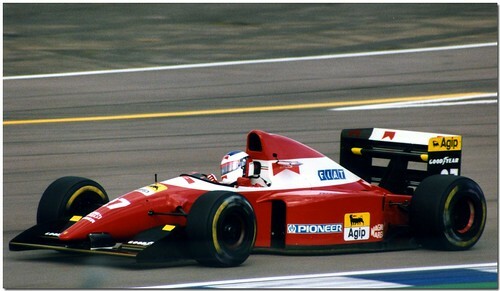 In fact, it seems to be a return to the Marlboro livery of the Schumacher era. Me, too, this is not my taste either and I would have preferred they stayed with the livery of the past 3 years. Well looking forward to the rest of the cars. Seb, you forgot to strikethrough McLaren and Ferrari’s launches on your calendar, and also Virgin have confirmed that they will launch their car at Wednesday, February 3rd, so you might want to update that.